The total hiking distance comprises about 55 kilometres, which can be divided into comfortable stretches between huts. The hike can start from both ends, or indeed from any of the huts. 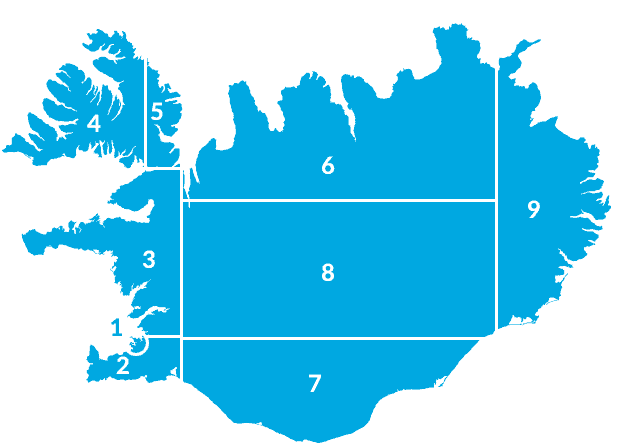 Let us start at Landmannalaugar and end in Rjupnavellir in County Landsveit. The route is marked, and the huts are in Landmannalaugar, Landmannahellir, Afangagil and Rjupnavellir. The distances between huts are relatively easy, comparable to the Laugavegur Route. The first stage from Landmannalaugar to Landmannahellir is about 16,5 kilometres long. It starts at 590 metres above sea level and ends at the same level. First the rugged Laugahraun lave field is crossed, then the small alluvial plain, Vondugilsaurar, to the right along the western edge of the lava field. From there, the trail accends the ridge Uppgonguhryggur, where it continues over the highest point, 823 metres, to valley Domadalur. At Domadalshals it is possilbe to choose one of two possible trails, past the western side of lake Lifrarfjallavatn, and the northern side of lake Lodmundarvatn to Hellisfjall to the huts at Landmannahellir. The other route continues along the 4wd-track to the huts. Hiking time 5-7 hours. The second stage continues from Landmannahellir (590 m.) for 17-18 kilometres to the hut at Afangagil (260 m.). The first heading is toward Mt Herbjarnarfell, then Mts Saudleysur through Lambaskard. There the lava field Lambafitjahraun (1913) is crossed. River Helliskvisl has to be forded to continue on the old Dyngjuleid-route. From fissure Valagja the route continues between Mts Valafell and Valafell. Hiking time 5-7 hours. The third stage from Afangagil to the hut at Rjupnavellir is 21 km long. At Afangagil is a new sheep pen for the autumnly roundups in the area. The trail takes you along some old sheep cots in the Solvahraun lava fields. From there the course is taken to the edge of the 1970 Skjolkviahraun lava field. The trail continues along Saudafellsalda to the easternmost catchment area of river Ytri-Ranga and along it. At Fossabrekkur the cold springs cascades create a beautiful contrast in the black desert. At the mouth of gully Ofaerugil the river is crossed on a bridge to the new huts at Rjupnavellir on the property of farm Merkihvoll. Hiking time 5-7 hours. The huts at Rjupnavellir are accessible by car. 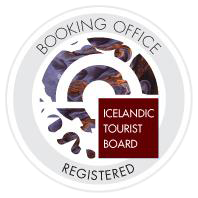 They are situated just north of the forested area Galtalaekjarskogur. Daily bus connections from the capital and from Landmannalaugar and Landmannahellir via Rjupnavellir and Leirubakki enable hikers to catch busses in either direction by notifying the bus companys, Thule Travel, Sterna or Trex in advance. From mid June to Mid September.